Are you ready for a stay in the lap of luxury? You'll find it at Villa Bellissimo! 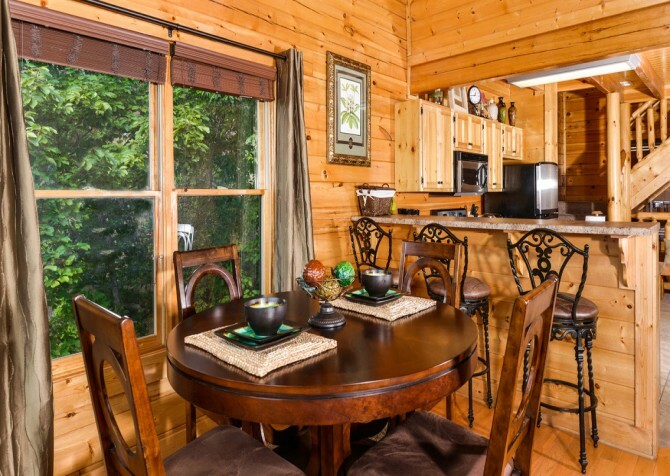 This 2-bedroom, 2-bathroom luxury Pigeon Forge cabin rental offers all that you need for a fantastic stay in the Great Smoky Mountains. 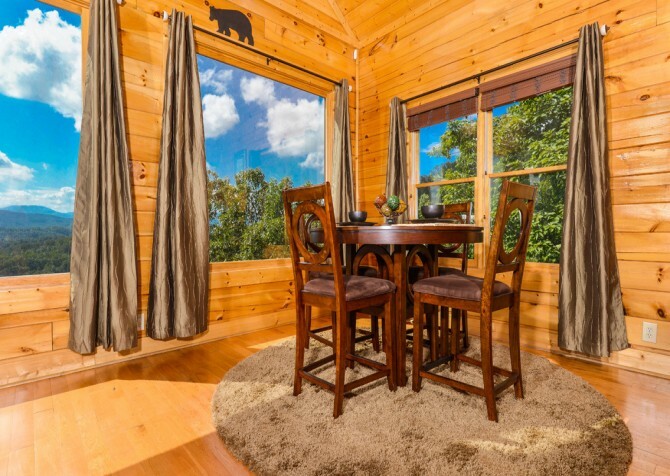 Stunning views of the Great Smoky Mountains add to the incredible features of this cabin rental. You'll love the impressive home theater and authentic log interior throughout the cabin. 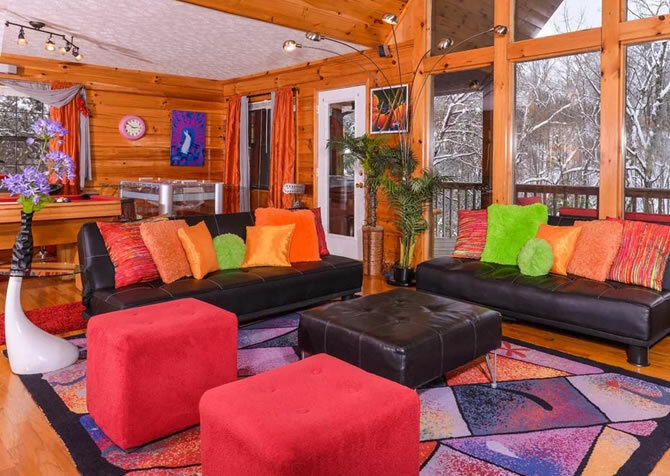 A vacation in this luxury Pigeon Forge cabin rental is just what the doctor ordered! 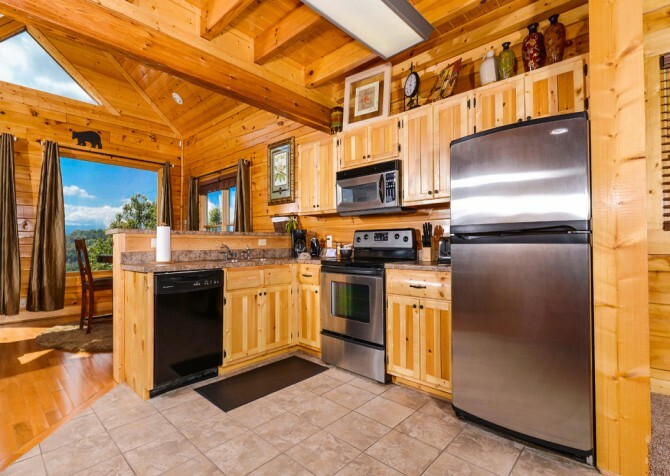 Located about five miles from the downtown Pigeon Forge Parkway, this two bedroom cabin rental gives you convenient access to all that the wonderful city has to offer. You will find something for everyone in this city, from a visit to the historic Titanic Museum Attraction to a fun day at Dollywood. Enjoy one of the town’s many dinner shows, such as Dolly Parton's Stampede or the Lumberjack Feud, or take a trip to see the birds at Parrot Mountain and Gardens. Pigeon Forge, Tennessee, also offers dozens of great restaurants, including The Old Mill, Bullfish Grill, the Cuban Cafe, and Blue Moose Burgers & Wings. The log cabin rental offers 2 floors in addition to an airy loft area. 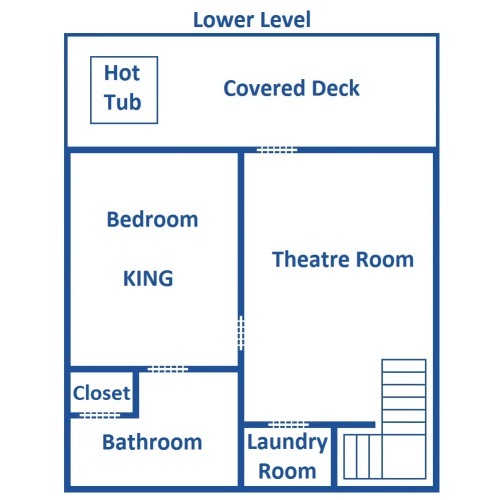 There are bedrooms on the entry and lower levels, both furnished with plush king-size beds. 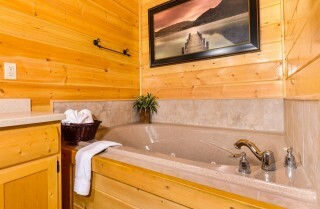 Attached private bathrooms and closets ensure that you feel right at home in this Pigeon Forge cabin. 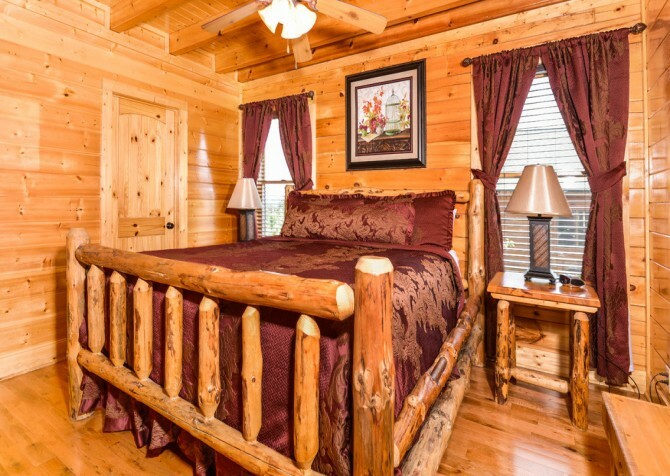 Both bedrooms offer log beds and color schemes that coordinate with the bedspreads and curtains. You will even find an indoor jetted tub in one of the bathrooms, ideal for a relaxing soak before you begin your day in the Smoky Mountains. You will be delighted by the luxurious living area of Villa Bellissimo, furnished with reclining chairs and a large flat screen TV on the log fireplace mantle. 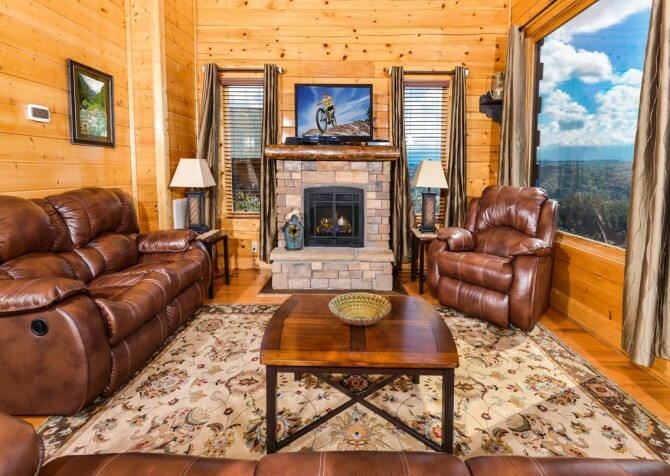 Windows showcase your view of the mountaintops while curtains will shield your view when it comes time for an afternoon nap. 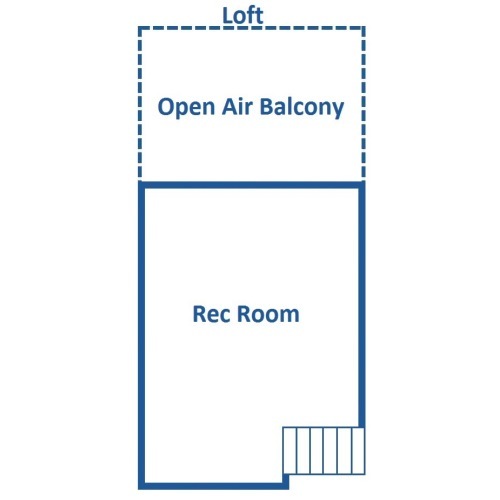 Tall ceilings and beautiful furnishings make this living area a place that you would love to stay awhile! 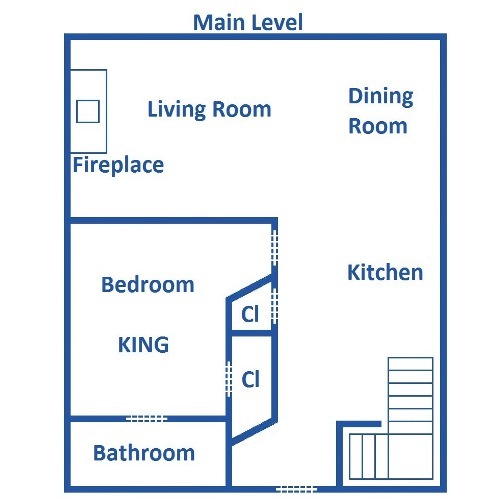 On the entry level you will also discover a very well-appointed kitchen, complete with stainless steel appliances and gorgeous counters. Light wood cabinets here complement the log interior, completing the mountain atmosphere throughout the home. There are also 3 bar stools seated at the kitchen counter that peer over the sink and into all of the cooking action. The large kitchen is fully furnished with all that you need, and in addition, there is also a dining table for you to enjoy a family meal. Here you can soak in your mountain view while you enjoy a delightful home cooked meal! 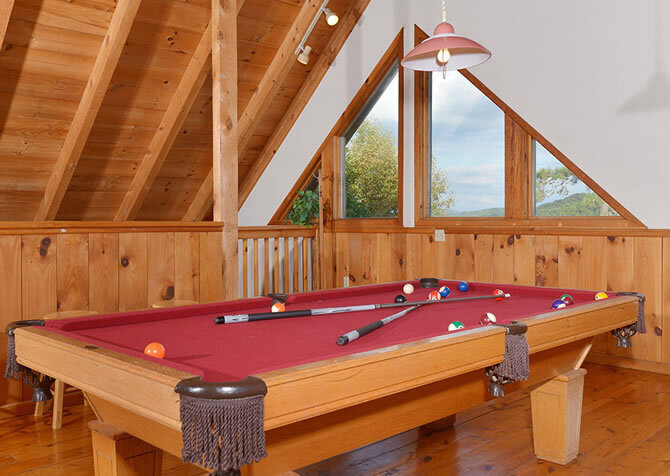 The A-frame style architecture of this cabin lends itself to the beautiful open air loft. 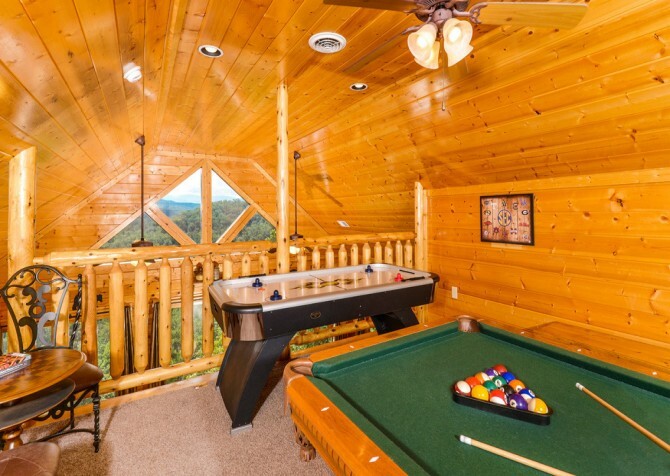 The loft offers a recreational space to spend your evenings or afternoons in this Pigeon Forge cabin rental. Play a few rounds on the full size pool table or air hockey table, or simply sit and relax in the game room seating. 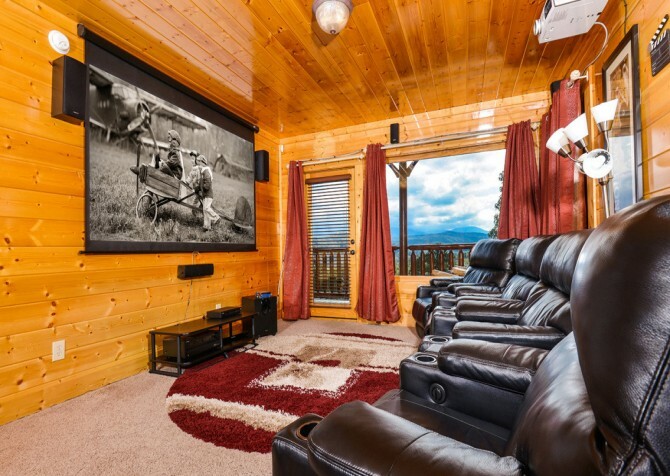 One of the most delightful features of this Pigeon Forge cabin rental is the home theater! 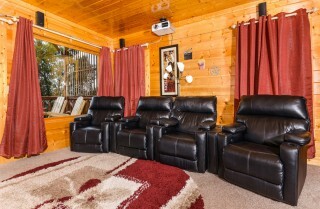 This room boasts a large projection screen and Blu-ray player that will make you feel like you are at the cinemas. The theater-style seating here offers power recline options, allowing you to get cozy and enjoy a movie. Access the deck from this home theater or draw the curtains for a cinematic experience. You'll even have a new neat (and simple) 21-game video game unit with the game room TV. It includes classic Nintendo games like Super Mario Kart, Street Fighter II Turbo, Zelda, Super MarioWorld, Yoshi’s Island, Donkey Kong and more! The decks of Villa Bellissimo offer log rails that complement the interior of the house. This Pigeon Forge cabin rental is located in the Legacy Mountain Resort, providing you with a view high above all of the hustle and bustle of downtown. 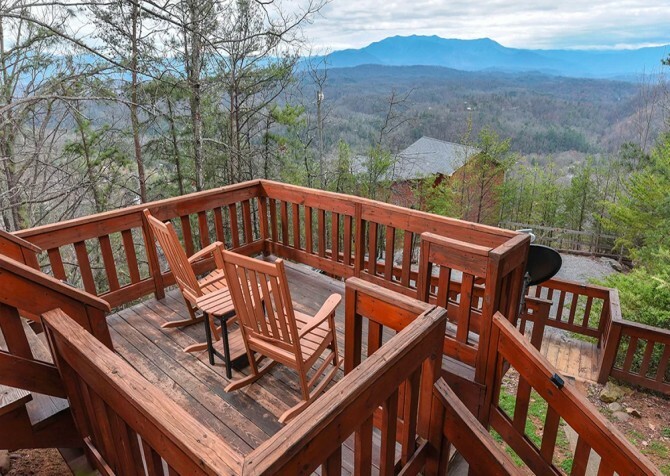 Sit on the log rocking chairs and watch the fog roll in over the mountains or awaken early to view a spectacular Smoky Mountain sunrise. 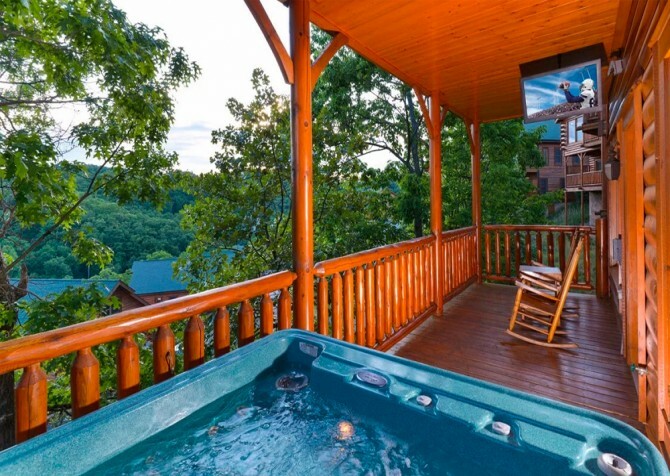 Soothe your troubles with a soak in the hot tub or just revel in the peace and quiet that these impressive mountains have to offer. Villa Bellissimo is a luxurious cabin rental that is a great choice for a couple’s vacation. Retreat with your friends and family to escape from it all as you enjoy your time in this Pigeon Forge cabin rental. Create memories that will last for lifetimes when you vacation to Villa Bellissimo! 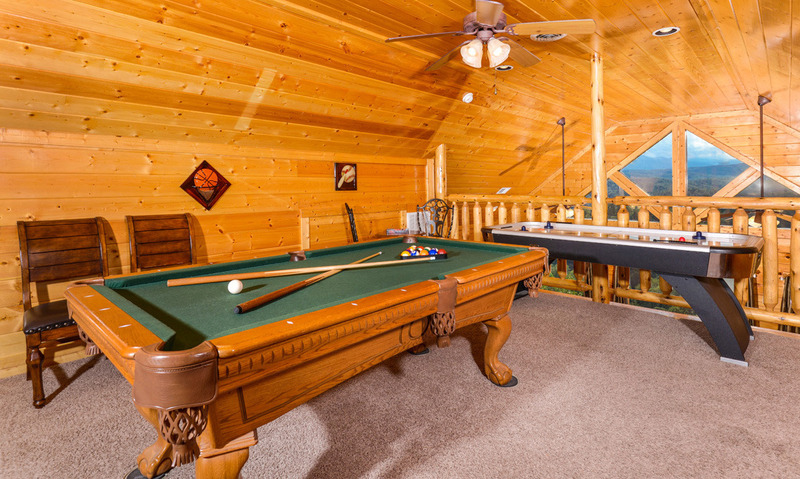 In the Legacy Mountain Resort, you'll have even more amenities to add to your cabin's list! Summertime means swimming in the beautiful community pool, days of hiking can end in the soothing sauna, and evenings can be spent picnicking by the fire and TV at the lovely pavilion. Want to stay on top of your workout? Head to the exercise room and enjoy the views while you work out! Plus, you'll have access to a community center! "We had an absolutely wonderful time here. 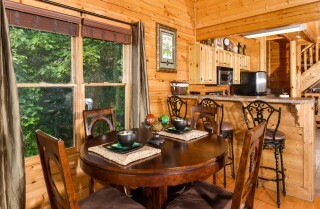 The cabin was so very cozy and comfortable. The views are breathtakingly beautiful. As soon as we walked in we were stuck just gazing out of the huge windows in the living room. The fact that it snowed…"
"We had an absolutely wonderful time here. The cabin was so very cozy and comfortable. The views are breathtakingly beautiful. As soon as we walked in we were stuck just gazing out of the huge windows in the living room. The fact that it snowed while we were there made it even more special. We found that the steps and ground outside of the cabin had been sanded to prevent us slipping. We appreciated that greatly! 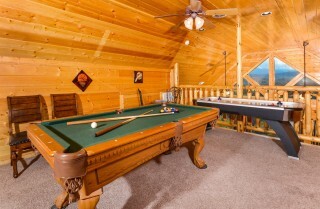 We will definitely come back to this cabin yearly. Just amazing!" Thank you so much for this raving review! 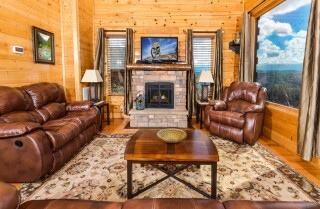 We are so delighted to hear that you enjoyed every moment at this cabin, from the breathtaking views to the snowfall! We can not wait to serve you again in the future! 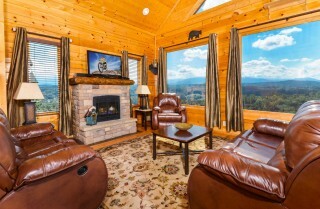 "Beautiful cabin with amazing views, loved every minute of our stay!! Will definitely recommend, and will return soon!!" Thank you so much for this kind review! We are so glad to hear you loved your stay and we can not wait to serve you again in the future! 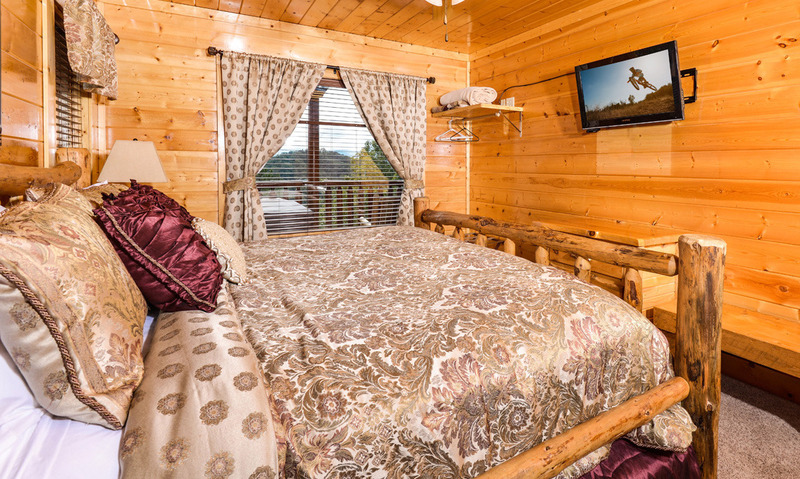 "Cabins for you is the easiest rental company that I have ever worked with. The pictures online for each of my rentals have all been point on. I just returned from the area and just sat down to book my visit for 2018. The view from Villa Bellissimo is outstanding."